Rose Pak has been called the most powerful woman in San Francisco. Many credit the Chinatown political activist with being the kingmaker behind Mayor Ed Lee's election, and the person most responsible for the increasing political power of Asian-Americans in the city. Pak was born in northern China, the daughter of a rich businessman. After Mao’s Communist forces drove the Nationalists from power, life became increasingly difficult for her family. In 1951, Pak’s father put her and the rest of the family on a plane full of nuns bound for Hong Kong. The family never heard from him again. Pak attended Catholic schools, first in Hong Kong and then in Portuguese-run Macao. She was a bright student, learning both English and Portuguese, but even then she was a troublemaker. When she was seven or eight and the papal nuncio came to visit, she put Chinese firecrackers in his incense burner, creating a miniature bomb. “He threw it out the window, he was so scared!” she recalls. Inspired by the civil rights movement, Chinese-American activists, including then–lefty firebrand Ed Lee, began working for their long-marginalized community—and Pak was drawn to the tumult. After getting her master’s in journalism from Columbia University in 1972, she became the first female Asian-American reporter at the Chronicle. It wasn’t always pleasant. One of her editors, for instance, repeatedly called her “cookie.” But it was the start of Pak’s political education. She hung out in the offices of congressmen John Burton and Philip Burton, San Francisco’s foulmouthed kingmakers, peppering them with questions and learning how to swear. Pak also got to know the world of the Six Companies, the group of family associations that had controlled most aspects of Chinatown life since its inception, and that of the Tongs, the semi-secret brotherhoods that were often tied to organized crime. By the end of the 1970s, Pak—an outspoken northern-Chinese woman in a society dominated by southern men—knew everyone in Chinatown worth knowing. More important, they knew her. One day in 1979, Pak got an SOS call from the head of the Chinese Chamber of Commerce. The State of California was planning to shut down Chinese Hospital in five days because its facilities were no longer up to code. Thousands of poor, monolingual Chinese Americans would be without a hospital until a new one could be built. Pak sprang into action, working her political contacts to delay the closure and leaning on her ties with the Six Companies to raise money. It took three years of off-and-on work, but Pak persuaded the state to grandfather in the existing hospital and secure funding for a new one. “Without Rose, this hospital might well be gone,” says James Ho, a hospital board member and former deputy mayor under Art Agnos. Pak continues that tradition today by entertaining newly elected Asian-American politicians—regardless of whether she supported their campaigns—at sumptuous dinner parties at the official residence of the Chinese consul in Forest Hill. Eric Mar and Carmen Chu got this treatment in 2009, though they have never received any help from Pak. She also organizes trips to China for favored politicians and developers. Mar, Chu, and David Chiu accompanied her on a 2009 trip, traveling to Hong Kong and Macao to meet a raft of Chinese government officials whom she has courted to foster business ties. Pak is able to raise copious amounts of money, culled mostly from the Chinatown establishment. Agnos and Brown have benefited, as have Lee, Kim, and Chiu. In June 2012, Pak hosted a fund-raiser for Christina Olague, the progressive former Planning Commission member whom Lee appointed as supervisor to District 5. It was an absurdly lucrative event, and it made headlines. Pak insists, though, that reports of the take as nearly $50,000 were too low; the real haul, she says, was $70,000. San Francisco's political class has descended on an ornate Chinatown banquet hall to toast the impending nuptials of District 4 supervisor Carmen Chu. The 34-year-old politico navigates the crowd, making small talk and blushing a little from all the attention. 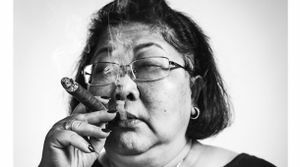 But, apologies to the bride-to-be—most of the action centers on the event’s host, Rose Pak, a rotund 64-year-old with a smoker’s cough and a grasp of city politics four decades deep. The Chinatown grande dame is seated at the head table receiving a steady stream of well-wishers: city department heads, business magnates, politicians. Some are allies, some enemies. Some love her, some fear her. San Francisco mayor Ed Lee and Rose Pak have been best friends since the 1970s. There’s Jane Kim, the District 6 supervisor Pak helped elect in 2010, and George Gascón, the district attorney whose office recently dropped its investigation into Mayor Lee’s campaign operation, with which Pak was closely involved. Pak’s old friend Willie Brown is here, too. Pak has been general consultant to the Chinese Chamber of Commerce since the 1980s. She is a confidante of mayors, a consumate political infighter who can get people hired or fired, and one of the leaders of a Chinatown-based political machine that has helped elect generations of local politicians. Most famously, of course, Pak and Brown engineered Lee’s ascension to the mayoralty in 2010, making him the city’s first Asian American to hold the position. By December 2012, 4 of the 11 members of the Board of Supervisors were Asian-American, including David Chiu, who has served as board president for the past three years. (The race for a possible fifth spot, for Norman Yee, was still undecided.) Mary Jung is chair of the Democratic County Central Committee, and Sacramento has state senator Leland Yee and assemblyman Phil Ting, who will replace the termed-out Fiona Ma in January. Asian Americans now constitute almost 34 percent of San Francisco’s population (22 percent are of Chinese ancestry) and, for the first time ever, an even higher percentage of its political leadership. the Asian-American rise to power didn’t happen overnight. “It’s the result of a lot of foundation-laying and a lot of losing campaigns that laid the bones for the progression of Chinese Americans,” says Malcolm Yeung, deputy director of the Chinatown Community Development Center , the nonprofit that provides services for low-income Chinatown and has long been allied with Pak. The final piece of the puzzle that explains Pak’s power is her ability to mobilize the troops. “To get elected supervisor, it only takes 10,000 votes,” says political consultant Jim Ross. “If you can create an operation that turns out two or three thousand votes, you can have a real impact.” And that’s exactly what Pak’s ally David Ho can do. Through his work for the CCDC, which owns or manages 2,200 affordable housing units primarily in Chinatown, he knows every square inch of Chinatown’s apartment blocks and can turn out volunteers en masse. Pak fits into a long tradition of San Francisco leaders who carved out a bigger slice of the civic pie for their community, from labor folks like Jimmy Herman, president of the longshoremen's union, to Robert Barnes, the political consultant who helped put dozens of gay and lesbian politicians into office. Through the work of Pak and others, the Chinese electorate—the so-called sleeping giant of San Francisco politics—has awakened. After a unanimous vote by San Francisco’s newly installed Board of Supervisors on Jan. 11, 2011, City Administrator Edwin M. Lee was sworn in as interim mayor of San Francisco. The swearing-in was regal affair staged in the rotunda of City Hall. A host of prominent political figures, including Oakland Mayor Jean Quan, congregated to witness the changing of the guard. Former Mayor Willie Brown served as master of ceremonies, standing behind a podium on the grand staircase with members the newly elected board to his right and former Mayor Gavin Newsom and Mayor-elect Ed Lee to his left. Newly anointed as mayor, Lee expressed gratitude to Brown, Newsom, Pak, and the members of the Board of Supervisors who supported him. He also noted that several weeks ago, he hadn’t even anticipated such a momentous change. “It’s been a whirlwind for me,” he said. The Chinese Communist Party is making gains in areas heavily settled by Chinese not only through large payoffs, but also with the aid of well-placed people. In the San Francisco area, that person is Rose Pak. The Los Angeles Times once described Rose Pak as the single most powerful person in San Francisco without benefit of having been elected to a public office. In that city, you don't have to say Rose Pak. Just say "Rose." Or just say "she." Everyone knows who you are talking about. Rose Pak's visible means of income is being a general consultant to the Chinese Chamber of Commerce. She receives 12 percent commissions on entry fees of reportedly as much as one million dollars from participants in the annual Chinese New Year's Parade. As a formidable fundraiser and organizer, she helped elect at least two mayors of San Francisco -- Art Agnos and Willie Brown. In return, she expects political "favors." A political activist told TNA that both mayors helped Pak -- a Chinese national and former Columbia University student -- solve an immigration problem. A community leader told TNA, "Rose is so well connected to the police chief, district attorney, and city attorney" that she can get away with almost anything. Pak has a still darker side. "Rose Pak is known to be the spokeswoman of [the] Chinese Communist Party, as well as a special agent for the Chinese Communist Party," according to the Epoch Times. Backing that assertion, the Singtao Daily reported in 2001 that Chinese Premier Jiang Zemin once honored Pak for defeating a resolution by San Francisco Supervisor Chris Daly condemning China's persecution of the practitioners of Falun Gong, a Chinese system of exercise and meditation: "President Jiang was very happy … with the work done by the Chinese Chamber of Commerce and Rose Pak." Friends of Rose Pak told a Chinese-language reporter, "She came to San Francisco with a clear mission to go into Chinatown." And a Chinese-language reporter has recently discovered that circa 1970, while she was in Australia, Pak made frequent contact with none other than Li Peng, who between 1998 and 2003 ranked second in the Communist Party of China behind Jiang Zemin on the Politburo. This page was last modified on 26 March 2013, at 08:31.